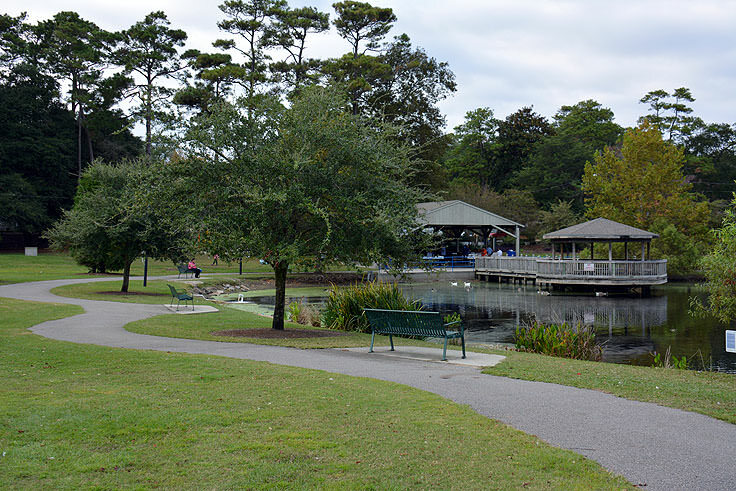 North Myrtle Beach locals who want to unwind and relax off the beach head to the gorgeous, centrally located McLean Park. Located in the heart of the city, just 2 blocks west of Ocean Boulevard between 1st and 3rd Avenues, this sprawling natural respite can cater to a wide range of outdoor interests. 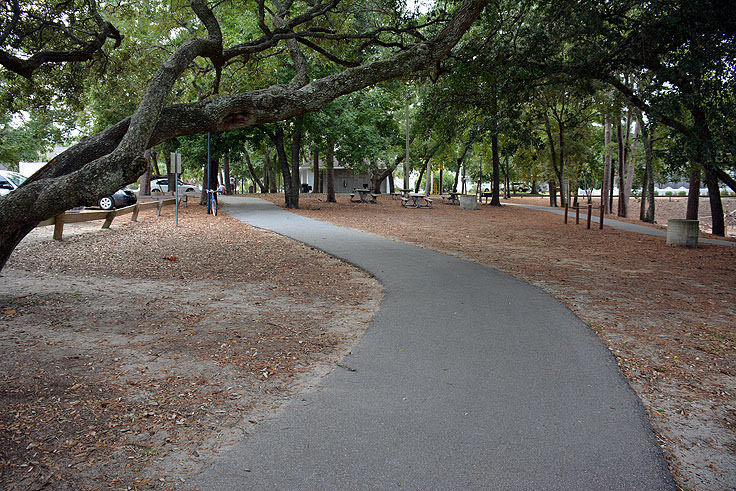 From active kids and adults to visitors who just want to enjoy a pretty view and a breath of fresh air, this park proves that North Myrtle Beaches' world of outdoor fun extends past the ocean facing beaches. 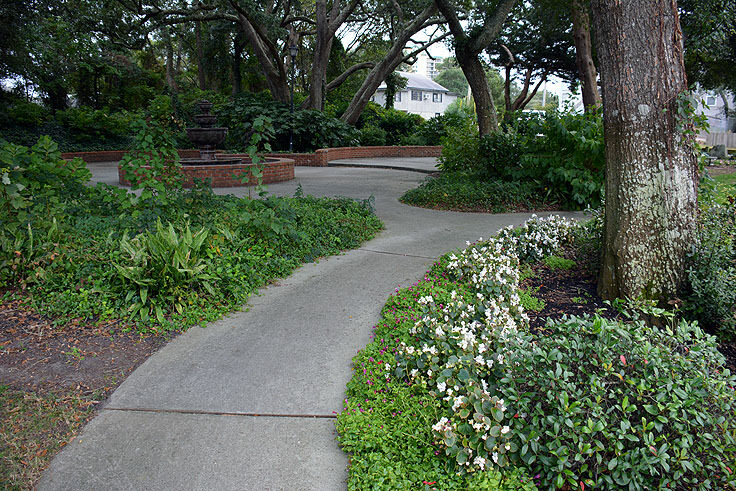 The park is surrounded by a number of residential and vacation rental communities, and is located just 2-3 blocks away from the oceanfront hotels and resorts, making a trip to this destination, literally, a "walk in the park." There are also parking areas located near the park's main entrance, so patrons who are lugging along athletic gear or picnic baskets can enjoy an easier route. 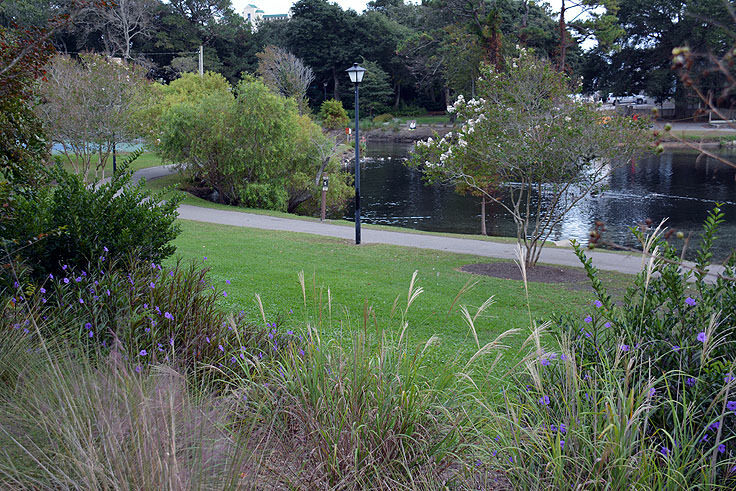 The park encompasses 10 acres of undeveloped land in the heart of town, which includes a 2 acre lake, making it one of the most scenic spots in the area for seasoned residents and North Myrtle Beach newcomers alike. Within the park's borders, visitors will find restrooms, a paved half mile walking path with a fitness trail, and two playgrounds that cater to different age groups. 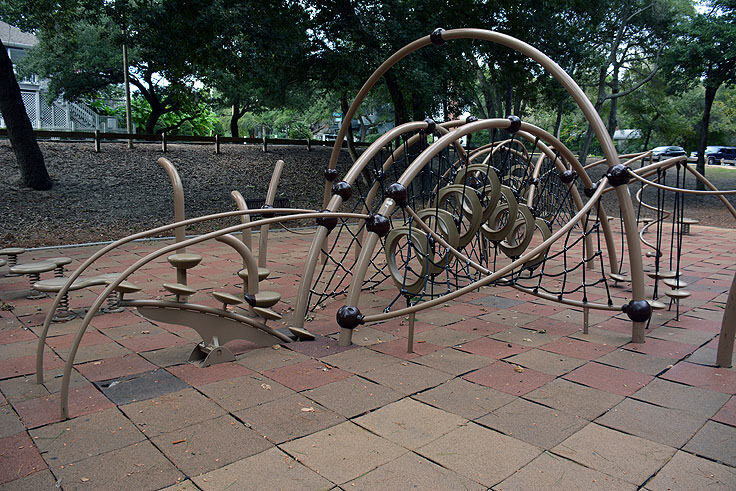 A 2-5 year old playground is perfect for the park's youngest visitors, while a 5-12 year old playground promotes "exercise in disguise" with a variety of attractions and amenities designed to keep kids moving. 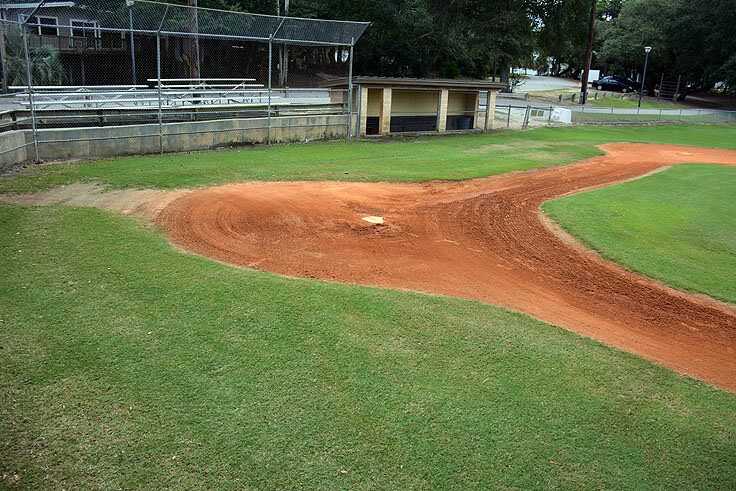 Sports lovers will also find two hard surface tennis courts, and a youth baseball field with grassy infields and a 250' foot outfield for hard hits. These facilities are generally available on a first come, first serve basis, however local youth and sporting groups can also reserve the facilities for summer games, tournaments, and practice sessions. 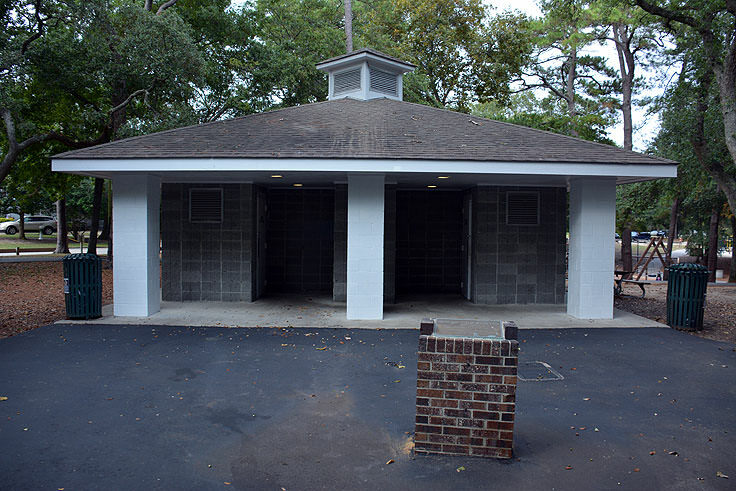 Visitors who would rather spread out a picnic lunch and enjoy a quieter scene can also reserve a spot at one of three park picnic shelters, which can accommodate approximately 30, 35, and 100 people, respectively. 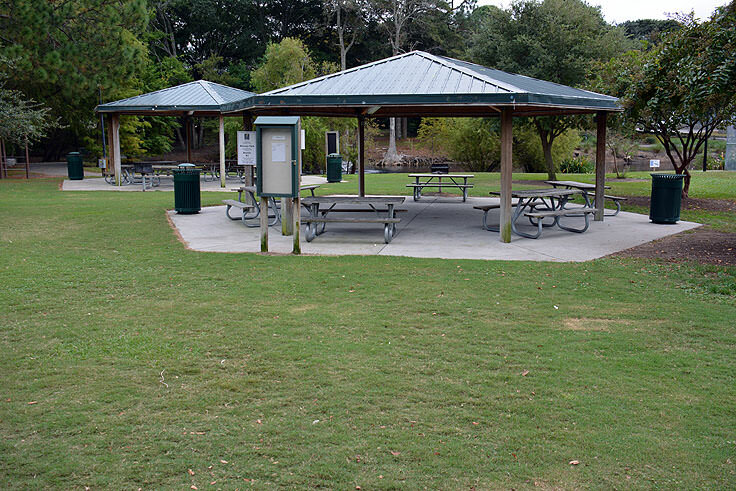 All picnic shelters are covered, contain ample tables for large parties, and also feature little "extras" such as charcoal grills, neighboring drinking fountains, and trash receptacles.The picnic shelters can be reserved in advance for special family celebrations, group picnics, or even informal wedding receptions, and can be secured by calling the City of North Myrtle Beaches' Parks and Rec department at (843) 280-5570. 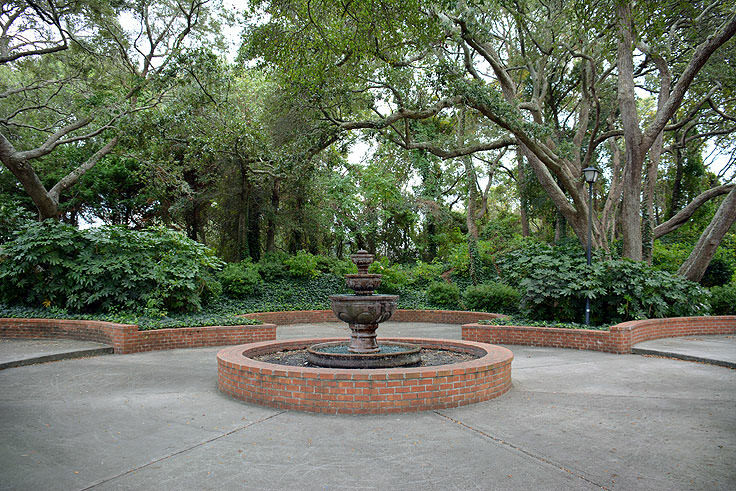 While all of these outdoor amenities are certainly a draw for frequent visitors, the park also has several unique features that help boost this park's reputation as one of the prettiest spots in North Myrtle Beach. 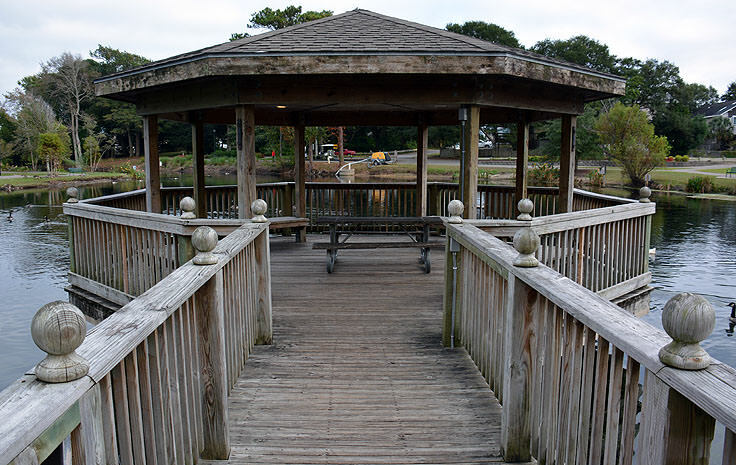 A meditation garden is well-known as a perfect place to relax and enjoy the summertime blooms, while a waterfront gazebo, which overlooks the 2 acre lake, is a shaded retreat for park-goers who just want to exhale and enjoy the scenery. 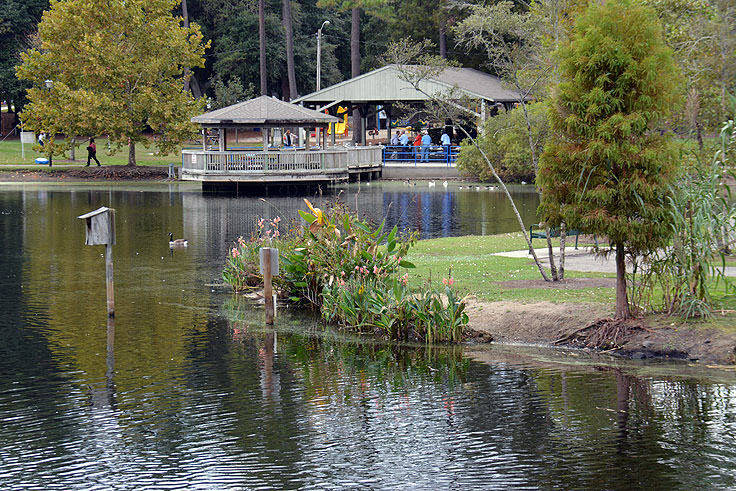 The park is so popular, in fact, that it is the venue of choice for a number of city-wide events, including holiday Trick-or-Treating or Easter Egg Hunts, and special summer concerts. In fact, the "Sounds of Summer" concerts at McLean Park are quickly becoming one of North Myrtle Beaches' favorite family outings, with monthly Friday evening live performances in the heart of the park, held from mid-May until the end of September. The music genres vary from blues to beach bands, and visitors are invited to bring their picnic baskets, blankets, and chairs, and enjoy an incredible show in an equally incredible location. 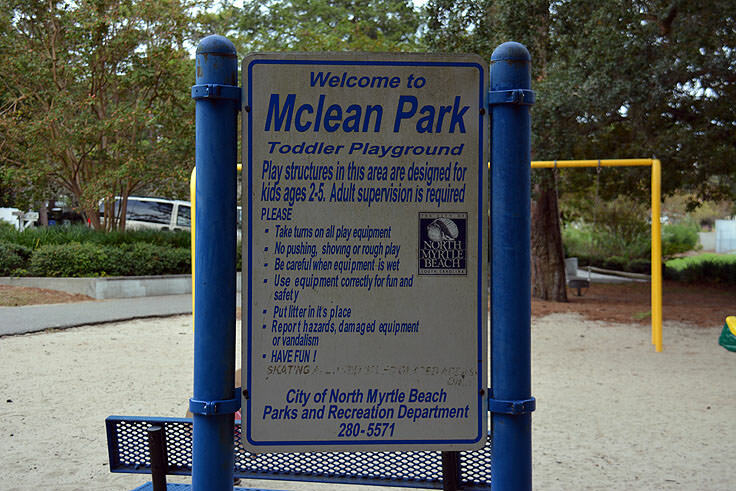 Upcoming holiday and special events at McLean Park are listed online, and visitors can check the North Myrtle Beach Parks and Rec Department's event calendar to see what fun affairs are happening during their upcoming South Carolina vacation. 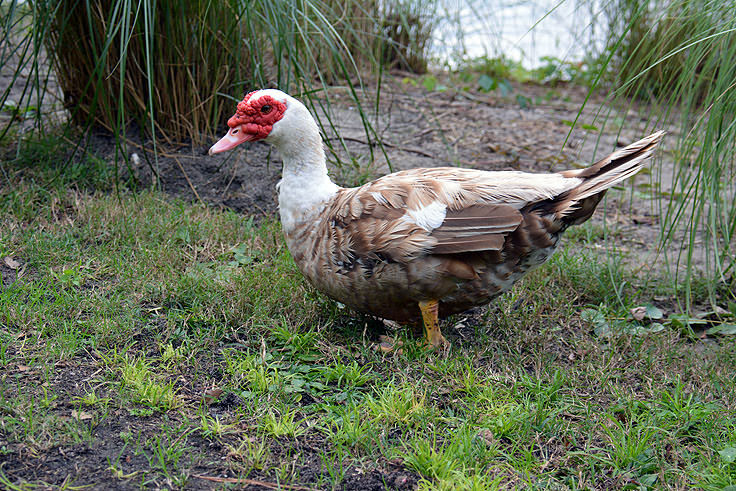 Visitors who love the great outdoors will find no shortage of fun at McLean Park. 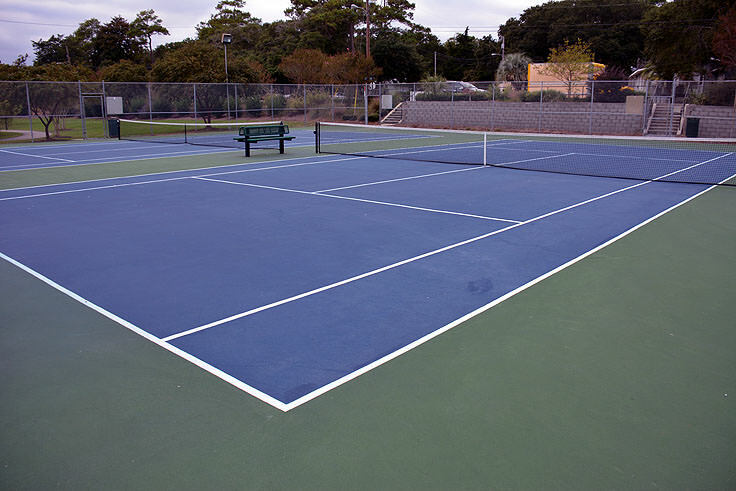 Geared towards all ages and interests, visitors can spend a day at play at the tennis courts, fitness trail or playgrounds, or just relax with a big picnic lunch and a pretty waterfront view. Surrounded by North Myrtle Beaches' busy oceanfront and oceanside communities, but a peaceful oasis in the heart of the action, visitors are sure to fall in love with this naturally fun little parcel of Grand Strand paradise.